The current status of Highlight’s Yoon Doo-joon has been revealed. 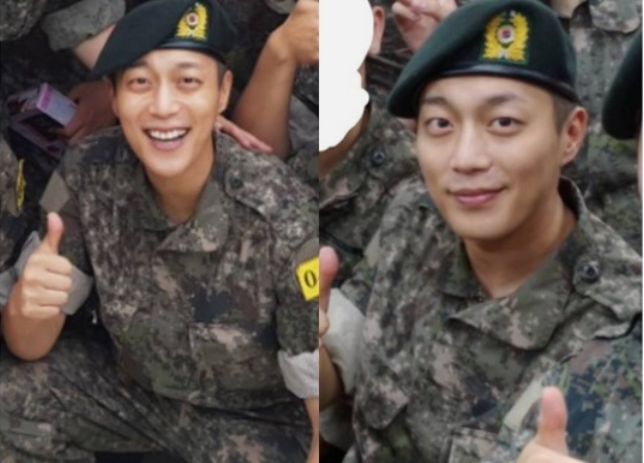 Anxious fans can put their hearts at rest with the emergence of a recent photo of Highlight member Yoon Doo-joon. Last week the singer announced his intention to begin his military service with the aim to enlist on August 24. The sudden news left fans little time to process the coming change. Nonetheless, they accepted that the singer would be taking a leave of absence to fulfill his mandatory conscription. Now, it appears that the singer has comfortably transitioned to his new life in the army. A photo of Yoon first emerged on an online community and had quickly spread on the web. In the picture, the singer is wearing his military uniform and beret. Further, he is seen smiling brightly and surrounded by his comrades. Meanwhile, Yoon will complete his service sometime in 2020.